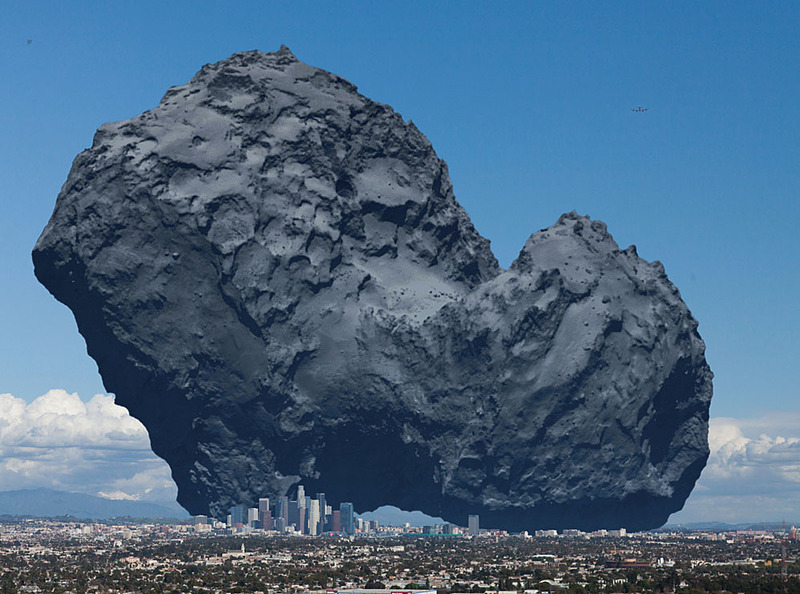 Explanation: What's happening to Comet 67P/Churyumov–Gerasimenko? As the 3-km wide comet moves closer to the Sun, heat causes the nucleus to expel gas and dust. The Rosetta spacecraft arrived at the comet's craggily double nucleus last July and now is co-orbiting the Sun with the giant dark iceberg. Recent analysis of data beamed back to Earth from the robotic Rosetta spacecraft has shown that water being expelled by 67P has a significant difference with water on Earth, indicating that Earth's water could not have originated from ancient collisions with comets like 67P. Additionally, neither Rosetta nor its Philae lander detected a magnetic field around the comet nucleus, indicating that magnetism might have been unimportant in the evolution of the early Solar System. 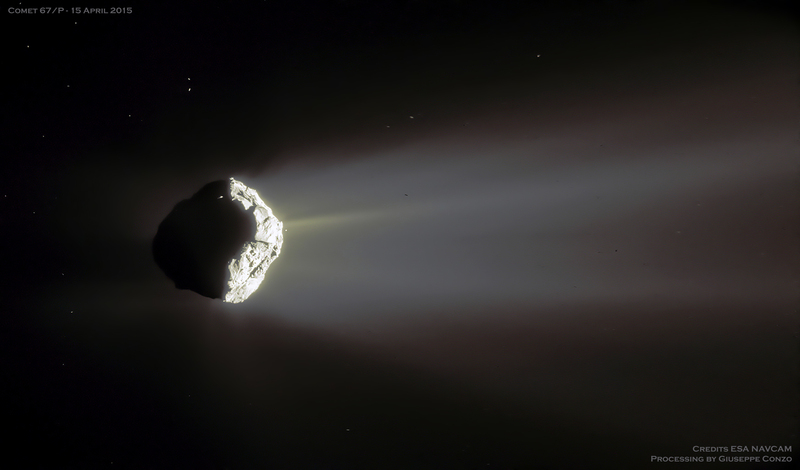 Comet 67P, shown in a crescent phase in false colour, should increase its evaporation rate as it nears its closest approach to the Sun in 2015 August, when it reaches a Sun distance just a bit further out than the Earth.